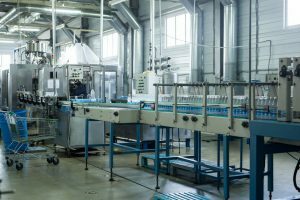 While most beverage makers know to turn to an FDA Registered facility for their ready-to-drink (RTD) beverage production, smart liquid dietary supplement, juice, flavored water, sports drink, functional drink, energy drink and tea manufacturers realize it’s equally important to choose an SQF facility. An SQF facility, or Safe Quality Food facility, has higher standards than those regulated by other industry organizations, and the SQF program is the only program that is currently recognized by the Global Food Safety Initiative. While most certifications rely on only safety standards, an SQF facility is focused on quality, as well. Learn more about SQF certification now. Southeast Bottling & Beverage is an SQF Level III facility that also holds several other notable recognitions and certifications. We are Organic, Kosher and HEPA Filtration certified, and we are registered with the FDA, Florida Department of Agriculture, NSF and others. It’s no wonder why more and more energy drink, liquid dietary supplement, juice, flavored water, sports drink, functional drink and tea manufacturers turn to us for all of their RTD production needs. Separate Pharmacy – This enclosed room is HEPA filtered to ensure quality control during ingredient measurement. Unique Filling Rooms – With separate regions, each individually HEPA filtered and climate-controlled, we can eliminate cross contamination between brands and flavors. Air-Conditioned Warehouse – Ingredients are always kept at optimal temperatures prior to use. 40,000 Gallons Tank Capacity – With multiple tanks, we have the flexibility to offer productions runs of nearly any size. 2 Liquid Filling Lines – We have a high speed rotary line, a high speed monoblock and the capacity to produce 288,000 bottle per day. We are the SQF facility trusted by more liquid dietary supplement, energy drink, juice, flavored water, sports drink, functional drink and tea manufacturers in Virginia, New Jersey, North Carolina, Maryland, Illinois and beyond, so contact us today to discuss your next beverage idea. We look forward to serving you!